REBSEA actively supports many Veterans Service Organizations. Many of our members regularly donate to these organizations. We recognize that many of our veterans are homeless, many are suffering from PTSD, and that 22 Veterans commit suicide each and every day. We all need to help address these challenges for the sake of our Veterans, to whom we owe so much. Many Veteran Service Organizations have joined REBSEA as NPO Members. You can help direct donations to a Veterans Service Organization by choosing to do business with a REBSEA Realtor or Business Member near you. REBSEA NPO Member ABS Community Research and their partner, Veterans1, are working to form a coalition of Veterans groups to help our Vets with jobs, housing, and many other needs. 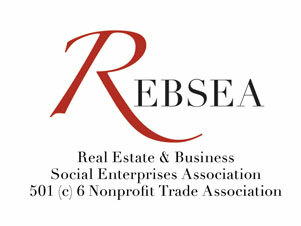 REBSEA is proud to be associated with such a dynamic group. There are now 22.3 million U.S. Veterans, and this number is growing every day, with the greatest concentration of veterans in California, Texas, Florida, Pennsylvania, and New York. U.S. Congress continues ongoing review of the best ways and means to serve those who have served our country. This includes addressing issues such as transition into civilian employment, job training and job opportunities, traumatic brain injury (TBI), the 22 veteran suicides per day and suicide prevention, and post-traumatic stress (PTSD). However, decades of challenges at the U.S. Veterans Administration persist, disconnects between the VA and Defense Department are ongoing, and thousands of military are transitioning into the civilian lifestyle every day with the drawdown of troops in overseas deployments. While the national unemployment rate may appear to be improving, the challenge for our military to transition into new civilian careers remains great. For post-9/11 veterans across America, the national unemployment average is 7.2%, with 10.3% unemployment for veterans returning from Iraq and Afghanistan. In many states that rate is even higher for younger veterans, such as Arkansas (14.2%), Oklahoma (13.4%), Connecticut (12.9%), and Kansas (12.2%). In addition, 1 million veterans are in process of the 2012-2017 transition out of the military, presenting a growing need for job training and employment. Washington DC based Veterans1 campaign, founded by Kenneth Feltman, has been involved in philanthropic and voluntary support to wounded military and veteran advocacy for over 11 years, including with Wounded Warriors, GI Film Festival, and military hospitals. For example, through volunteerism Veterans1 personally assisted wounded military in being transitioned to hospitals which were located closer to their families.Today, Veterans1 supports community partnerships in advancing the state of affairs for our veterans. Veterans1 understands the challenges our veterans face in the transition from the military to civilian workforce. 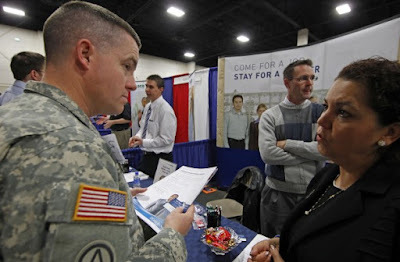 It is crucial for veterans to have access to job training and related education that prepares our brave men and women for new careers, and to have access to vocational counselors, job fairs, and entrepreneurial programs in exposing veterans to the hundreds of corporate and government employers with committed interest to hire those that served in our Armed Forces. In February of this year, ABS Community Research entered into charitable partnershipwith Veterans1 to raise awareness on veterans-related issues, cultivate volunteer and philanthropic support for veterans service organizations (VSOs) which exhibit measurable positive impacts for veterans in their community. While we applaud extensive volunteerism that drives many VSOs, we also see the overwhelming need that veterans have, and find that more sponsorship to VSOs would allow them to hire case managers or host events to expand immediate access to assistance in their local communities. As part of this campaign, ABS and Veterans1 also work together to educate congress on model nonprofit organizations which are providing solutions, plus bring feedback and recommendations to Washington, D.C. from the veterans themselves. At the peak of the VA backlog debacle in Washington, issues between federal agencies, selfless commitments of nonprofit community partnerships, and ongoing challenges facing veterans were raised throughout congressional testimonies and hearings at Veterans Affairs Committees on capitol hill. In observing multiple congressional hearings, it was clear that each member of congress adopted different concerns that are all part of a complex system to support veterans. Senator Bernie Sanders cited cost-effectiveness of health services through the VA, however called for research to advance healthcare for veterans, reflecting on the diversity of health issues between the generations. Senator Sanders also raised concerns for over-medication of veterans, calling for more alternative and non-medicinal therapies to be made available in mental healthcare. Senator Jon Tester promoted the role of VSOs and mental health providers as crucial local partners in Montana, encouraging more local and state based partnerships across the country. Retired Senator John D. Rockefeller charged the VA and VSOs on the issue of veteran suicides, citing the statistic that 22 veterans commit suicide on a daily basis, calling on observation of PTSD cases, monitoring and advancing the suicide watch list, and questioning methods to work with veterans in suicide prevention. Senator Jerry Moran of Kansas prioritized the role of marriage and family therapy, calling for the hiring of additional case level therapists to expand access for veterans. Senator Richard Blumenthal of Connecticut championed the cause of unemployment, calling for more job fairs and research on unemployment by veteran demographic, and comparisons to national unemployment rates. These are just a few examples. Recently Veterans1 launched a newsletter campaign to raise awareness of the issues and cultivate public participation in the cause. In the initial launch, it was very moving for us to receive and share job opportunities for veterans from committed employers, refer people to local VSOs that seek volunteers, to find nonprofit organizations that may be of assistance to specific veterans issues such as in obtaining employment, and to hear feedback from veterans on how Washington is doing and what they can do better. The feedback from veterans, including higher ranking retired military was very powerful and resourceful. In the coming weeks, Veterans1 is furnishing Open Letters to Congress with their messages, specifically on VA Hospital reform and advancement, plus recommendations for aiding veterans in a more swift process from the military to obtain benefits and transitional support. If you would like to participate in this effort, share your comments, receive newsletters, volunteer at a VSO near you, refer job opportunities that we can share with VSOs for veterans, review and potentially co-sign the Open Letters to Congress, or donate, please contact us at Veterans1.